Movie night – FernGully: The Last Rainforest starts at 8:30 p.m. Bring a blanket. This entry was posted in Ashbridge's neighbourhood businesses, Ashdale Village / Little India, Event, Greenwood Avenue, J. Ashbridge Park on August 17, 2015 by The Ashbridge's neighbourhood. See the new sign on Greenwood Cigar and Variety. Just noticed this today – a new sign announcing the corner of Greenwood and Queen. Click on the photo above for a close-up view. This is not at all how this neighbourhood was described when I moved here in the 1980s. Oh, if they could only see us now. This entry was posted in Ashbridge neighbourhood history, Ashbridge's neighbourhood businesses, Greenwood Avenue, Queen Street and tagged Greenwood and Queen, Greenwood Avenue, Queen and Greenwood, Queen Street, Queen Street East on December 16, 2014 by The Ashbridge's neighbourhood. Here’s a photo of the northeast corner of Queen and Greenwood. Why does this post have scuff marks and a bit of a bend? 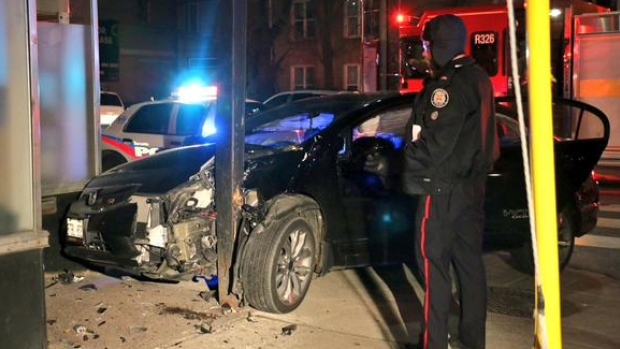 Only slight injuries to one of the occupants, good thing no one was standing there at the time. See the story on CBC’s site, December 2, 2014. 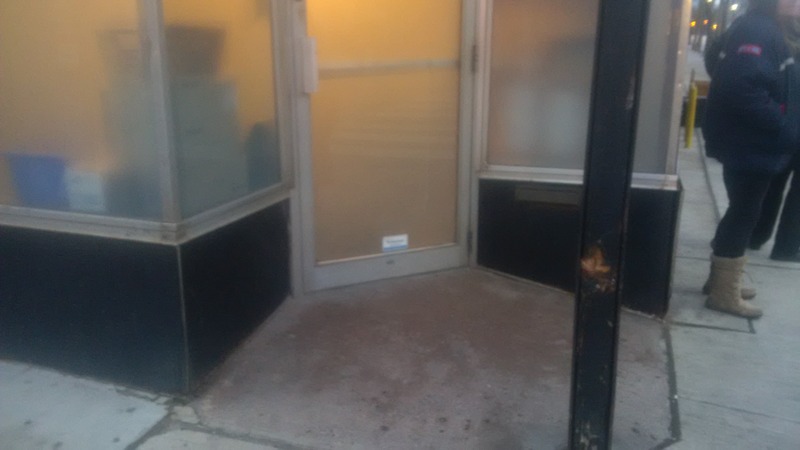 This entry was posted in Ashbridge's neighbourhood businesses, Greenwood Avenue, Queen Street and tagged Greenwood on December 3, 2014 by The Ashbridge's neighbourhood. See a really interesting article by Laura Marks about the history of 1327 to 1339 Queen East, a row of century homes which is threatened with demolition. The piece also has information on the Price house at 100 Greenwood Avenue and several houses at the foot of Ashdale Avenue. More 1327 – 1339 Queen St E Heritage Discoveries and learn more on the East Toronto Community Coalition site, such as reports on meetings of the Working Group. This entry was posted in Ashbridge neighbourhood history, Greenwood Avenue, Queen Street on December 1, 2014 by The Ashbridge's neighbourhood. You are invited to a talk about the history of brickmaking along Greenwood Avenue. 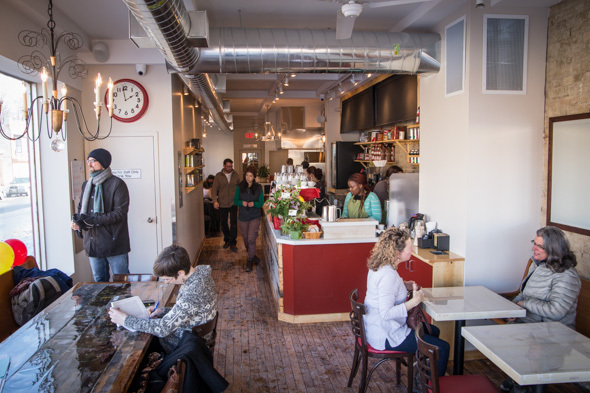 You may also be interested in seeing a previous post: Greenwood Avenue’s history of bricks. The Ashbridges operated a brickyard just north of present-day Duke of Connaught School. The speaker on September 11 at Brickyard Grounds is Joanne Doucette, an east end historian and author of Pigs, Flowers and Bricks: A history of Leslieville to 1920. Or call the restaurant at 416-465-4444. The clay pits brickmakers left behind are still with us today, disguised as subdivisions, parks, schoolyards and even Gerrard Square! John Price’s shale pit on Greenwood Avenue is now the site of a housing complex and secondary school. Felstead Park is the site of the Logan brickyard. Greenwood Park is the site of the Russell and Morley brickyards. 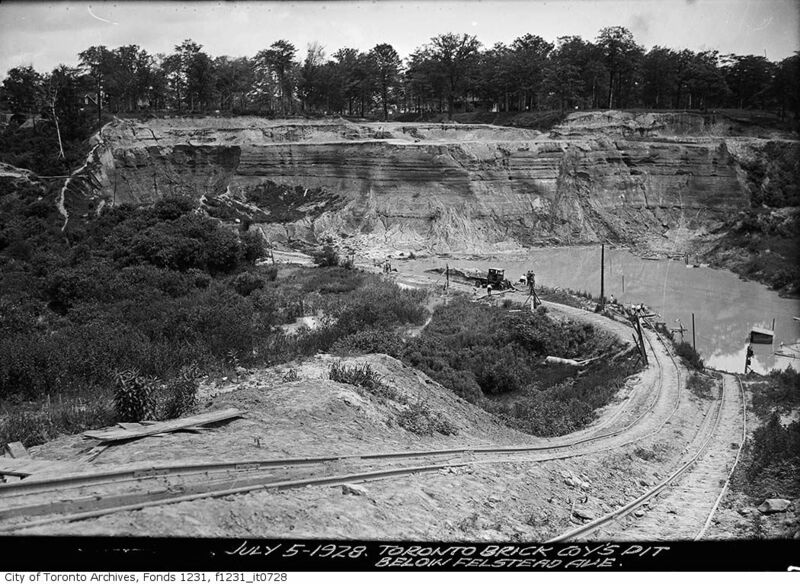 Another became Harper’s Dump, the main municipal tip for Toronto, which later became the TTC yards on Greenwood. Many others, large and small, remain. One was the site of the Motordrome, Canada’s first board motorcycle racetrack. Another was the site of the Ulster Stadium where the soccer greats of the 1920s and 30s played the beautiful game against local teams. For more information, please contact Joanne Doucette or the Brickyard Grounds at 416-465-4444. This entry was posted in Ashbridge neighbourhood history, Ashbridge's neighbourhood businesses, Event, Greenwood Avenue, Greenwood Village on September 5, 2014 by The Ashbridge's neighbourhood. 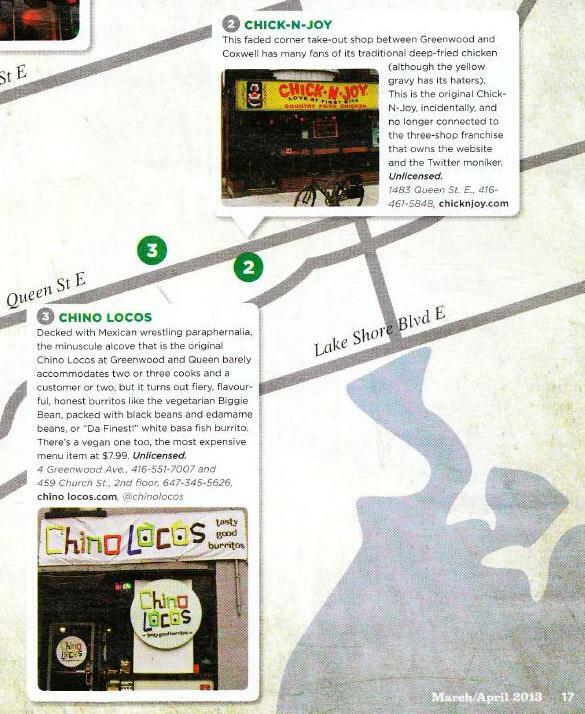 Two local food places are featured in a great article “Ten great (and untrendy) east-end eateries”: Chino Locos on Greenwood at Queen, and Chick-N-Joy on Queen at Woodfield. The article in City Bites magazine is by local writer Sarah B. Hood. This entry was posted in Ashbridge's neighbourhood businesses, Greenwood Avenue, Queen Street on March 28, 2013 by The Ashbridge's neighbourhood.